At least 68 people have been killed and 200 others wounded by Al-Qaeda-linked militants in a Nairobi shopping mall, as the hostage crisis there has entered its second day. Foreigners are among the casualties. The Red Cross in Kenya said on Sunday that the death toll in the Westgate mall siege has risen to 68. 10 to 15 gunmen are still inside the shopping center, a Kenyan minister has reported. 30 hostages are still inside the building, according to the country’s officials and Western diplomatic sources cited by CNN. AP journalists reported from the scene that gunfire was heard in the mall on Sunday morning. They added that following the shooting, two wounded Kenyan security forces were carried from the mall. 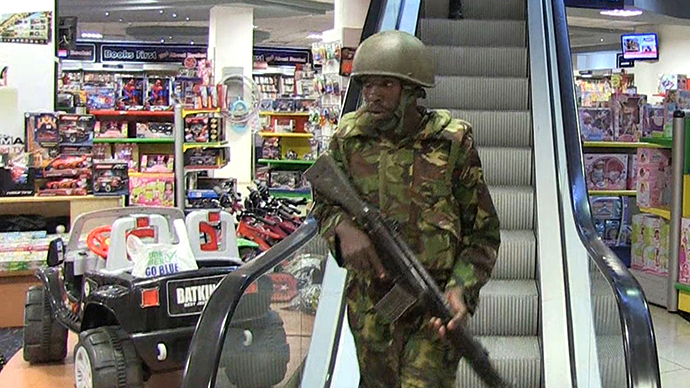 On Sunday Kenyan troops launched an assault on cornered Somali militants in the Westgate shopping mall. Police said they fear the death toll could be higher after hearing reports of multiple corpses inside the building. The Kenyan president’s office announced that one of the gunmen arrested by police in the Nairobi shopping mall died from gunshot wounds. “Operations are continuing…We will free all those inside and stop this, of course we cannot give details of the operations except to say that everything that can be done is being done,” a security officer said, as quoted by AFP. Israeli advisers are reportedly helping Kenya to work out a strategy to end a siege at the mall. Masked assailants, armed with AK-47s and grenades launched their attack on the Westgate shopping mall in the Kenyan capital around noon on Saturday. 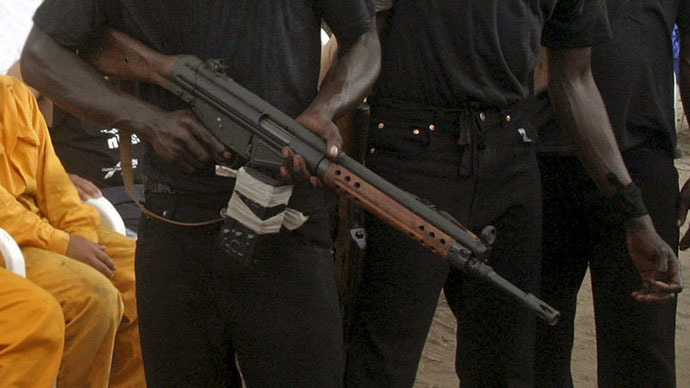 Gunmen were said to have lobbed grenades at the onset of the strike. They then proceeded to shoot indiscriminately and took several people hostage at the mall in Nairobi. Armed police arrived on the scene nearly half an hour later, as scores of shoppers were fleeing the building. Some of the wounded were wheeled out on stretchers and shopping carts. Al-Shabaab, a hardline Al-Qaeda-affiliated Islamist group with a stronghold in neighboring Somalia, claimed responsibility for the Nairobi shooting. It had earlier threatened to strike the mall, as it is a popular destination for the city’s expatriate community. One victim said that he had been shot by a man who appeared to be Somali, while others noted the gunmen were speaking in a foreign language. "A Somali guy shot at me. The guy who shot me was carrying a rifle, an AK-47," said Saptal Singh, who was in a cafe in the top floor of the mall. Witnesses said the attackers ordered all Muslims to leave the premises, as only non-Muslims would be targeted. 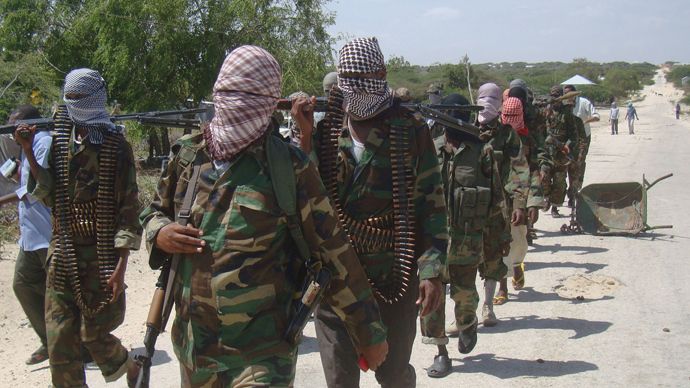 Somalia’s Al-Shabaab militant group said on Saturday that it is in contact with what it called “Mujahideen” gunmen who had attacked the shopping mall. They added that they would not be negotiating with the Mujahideen in the shopping center. "The Kenyan govt is pleading with our Mujahideen inside the mall for negotiations. There will be no negotiations whatsoever at the Westgate (the mall where the attack took place)," the Al-Shabaab militant group said on its official Twitter account. The group had apparently been live tweeting the attack on the mall under the username @HSM_Press, until the account was suspended by the social network following multiple reports from other Twitter users. The Al-Qaeda linked militant group said that the attack was in revenge for crimes allegedly committed by Kenyan soldiers in Somalia. Troops from Kenya and other African nations are serving as peacekeepers in war torn Somalia to the north. President Uhuru Kenyatta said the attack sought to intimidate and divide the nation, but stated that the "terrorists" will be defeated. The president added that he lost "very close family members" in the mall shooting. Kenyatta said Saturday that his nephew and his fiancé died in the mall attack. The mall is popular with expatriates in Nairobi and while most of the killed and injured are Kenyans, there are also foreign nationals among the casualties. Two French citizens were confirmed dead in the attack, France's presidential office stated. Also, two Canadians have been killed, including one diplomat, according to Canadian Prime Minister, Stephen Harper. 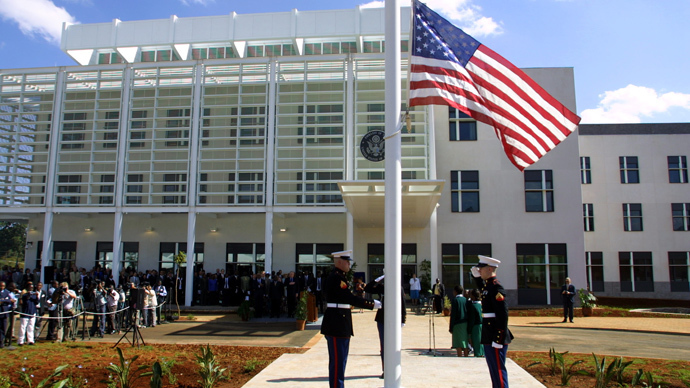 "We have reports of American citizens injured in the attack, and the US Embassy is actively reaching out to provide assistance," State Department spokeswoman Marie Harf said in a statement. Britain’s Foreign Ministry confirmed Sunday that three Britons were also among the dead. One of the British witnesses of the attack said that she and 60 others barricaded themselves in a large storeroom. "We kept running to different places but the shots were getting louder so we barricaded ourselves along with about 60 others in a large storeroom. There were children hiding with us as well as someone who had been shot," Hannah Chisholm told BBC. "The gunfire was loud and we were scared but at that point we thought the gunmen were thieves so we assumed they wouldn't try to reach the storeroom." 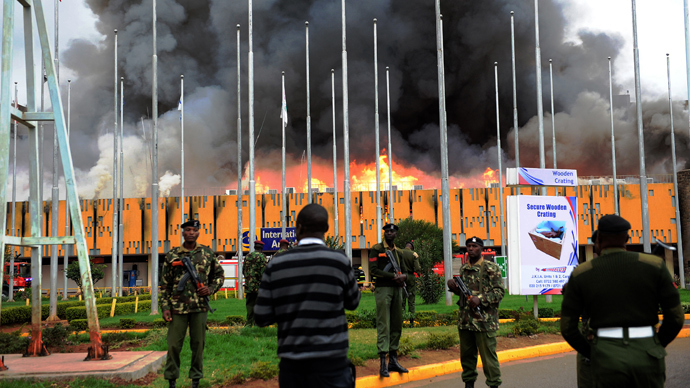 This is the biggest terrorist attack in Nairobi since 1998, when bombing at the U.S. Embassy left 213 dead. At that time Al-Qaeda claimed responsibility for the attacks.